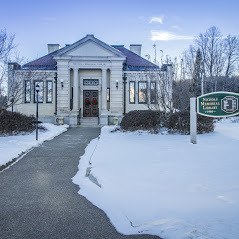 You may not know the names of the authors of these new books at the Nichols Library in Center Harbor, but that shouldn’t stop you from checking them out. In The Chalk Artist by Allegra Goodman, an idealistic schoolteacher gets her street-artist boyfriend a job with her father’s video game company, despite her profound misgivings about gaming culture. Goodman “probes the meaning and place of art in contemporary culture in her intricate and empathic novel” (Publishers Weekly). The Essex Serpent by Sarah Perry begins when a recently widowed women defies Victorian convention by going exploring for the titular serpent. She forms an unlikely friendship with a scholarly vicar; their developing relationship sets the ground for a drama that weaves romance with 19th-century debates about theology and evolution. “The sumptuous twists and turns of Perry’s prose invite close reading” (Kirkus Reviews). Stay tuned for more left field picks.